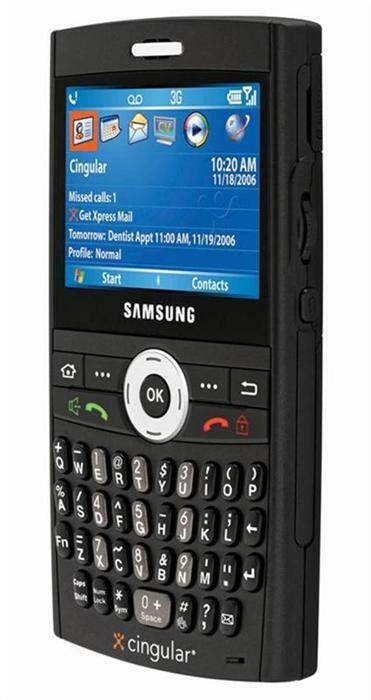 the wife replaced her treo 650 with the new samsung blackjack phone today. it’s a neat package with the phone/organizer/camera thing going on in that slim form factor. i didn’t like how the buttons were crammed pretty close together and the screen is not touch-sensitive so you have to navigate with a thumbwheel (nice) or the smallish nav button pad on the front (not as nice). i’ll post more about it after i’ve had a chance to use it in a couple days.